A collectible calendar. 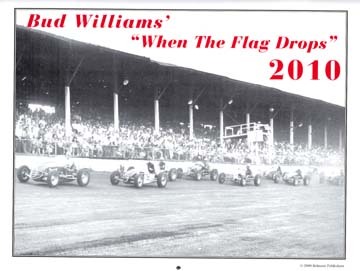 This makes the eleventh year for this Bud Williams calendar series! Only the best photos were used for this historical calendar. Some photos taken at Langhorne Speedway. Featured drivers: Mike Nazaruk, Leroy Warriner, Larry Crockett, Don Branson, Russ Snowberger, Tommy Hinnershitz, Bobby Grim, Ted Horn, Johnny Rutherford, Jud Larson, Pat O'Conner, Duke Nalon.